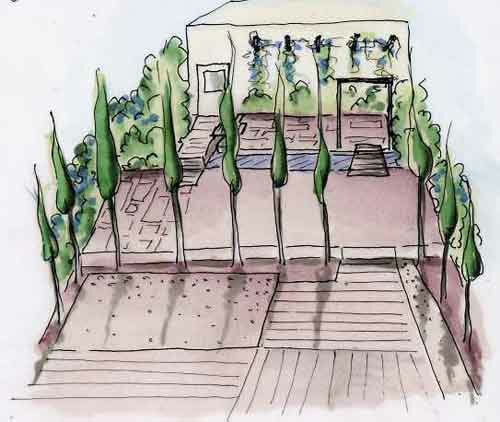 We believe that designing a good garden is all about listening, then interpreting what we’ve heard. Then about listening some more. 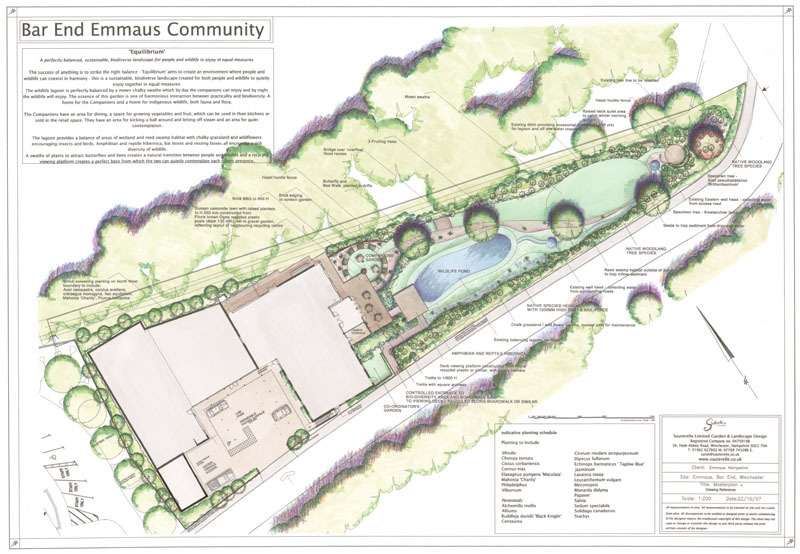 Once this process is complete the project can then be built, either by a landscape contractor that has been recommended to you, or by one of the contractors that work regularly on our projects. 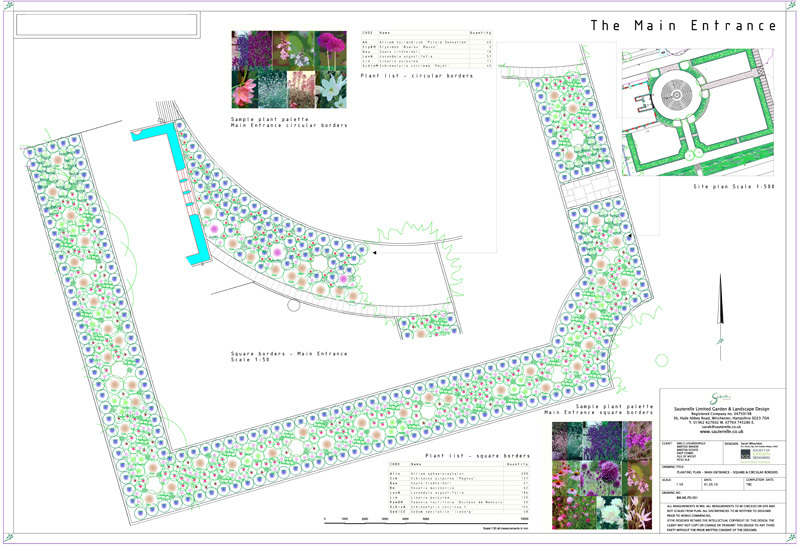 We offer a comprehensive project management service so that if you are short of time we can ensure the garden is built to a high standard and exactly according to the design. 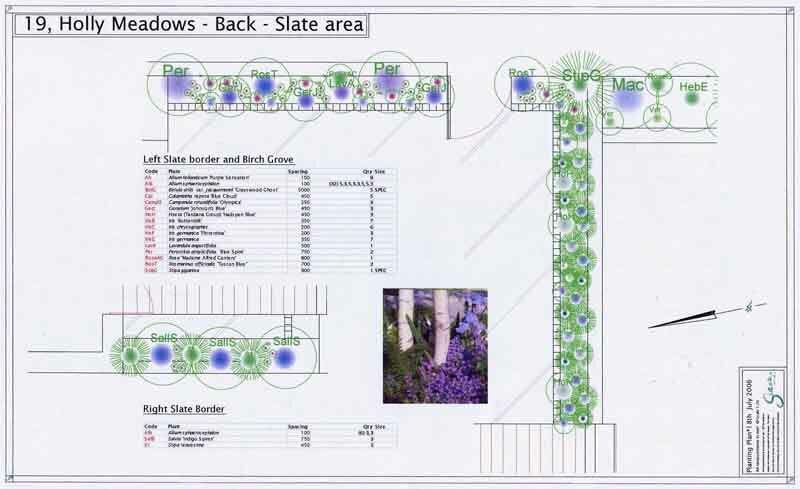 Plants are our passion, so we additionally specialise in sourcing the rare and interesting plants specified in our planting plans – so the vision we have for your garden will be recreated entirely. 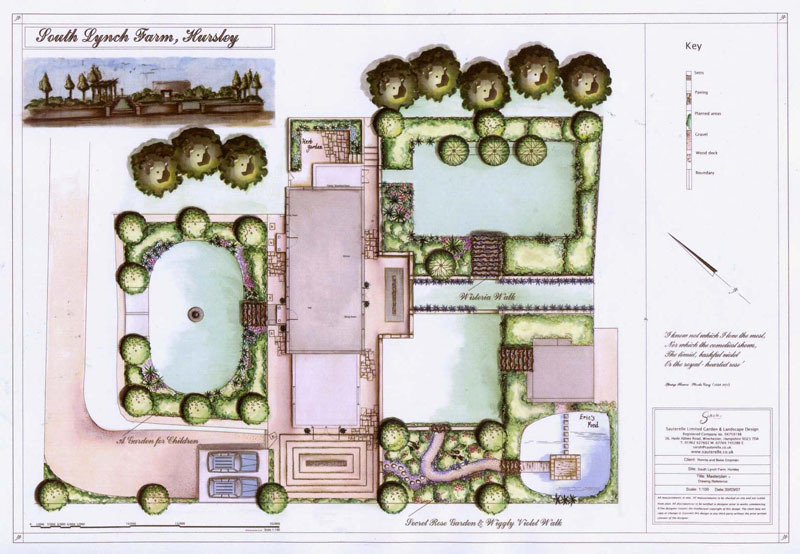 This is a free one hour meeting where we will discuss you, your family’s needs and your garden. This is also an opportunity for you to see some of our work. We will then put together a brief based on our discussions and send you a written quote outlining fees. 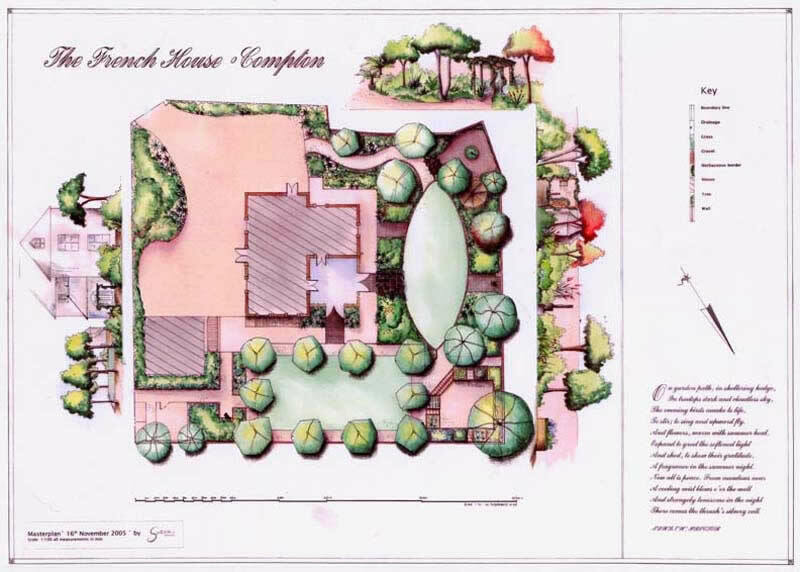 The first step is to conduct a professional garden survey so that we can draw up accurate plans to scale from which to build your final garden design. 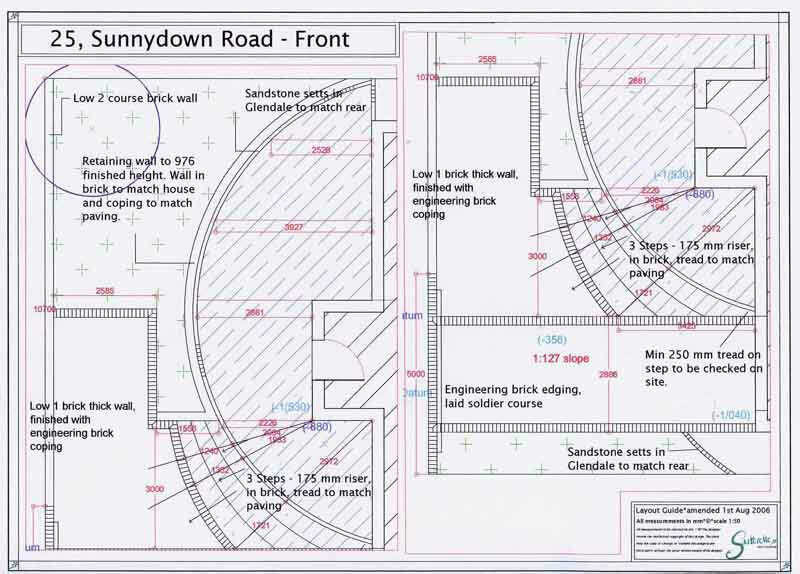 The survey takes into consideration all essential information such as soil analysis, site considerations such as overhanging trees, TPO’s, slope detail, drain location and access points. 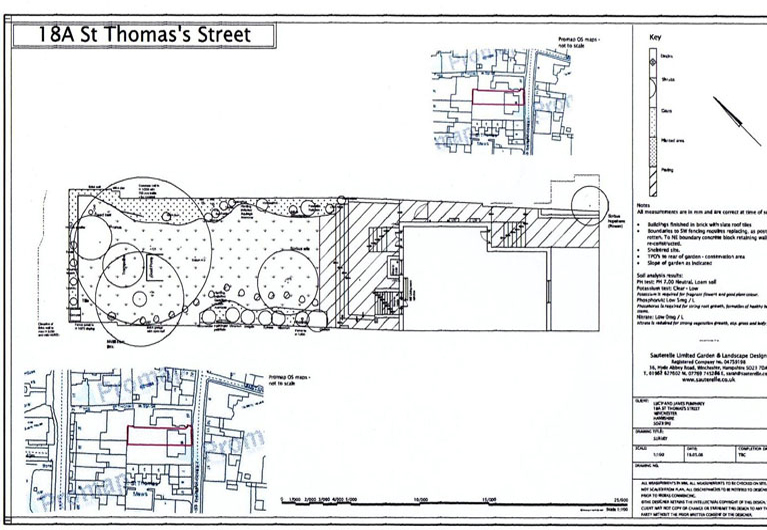 It also helps a contractor to evaluate what will need to be removed from the site prior to works commencing and to price accordingly. 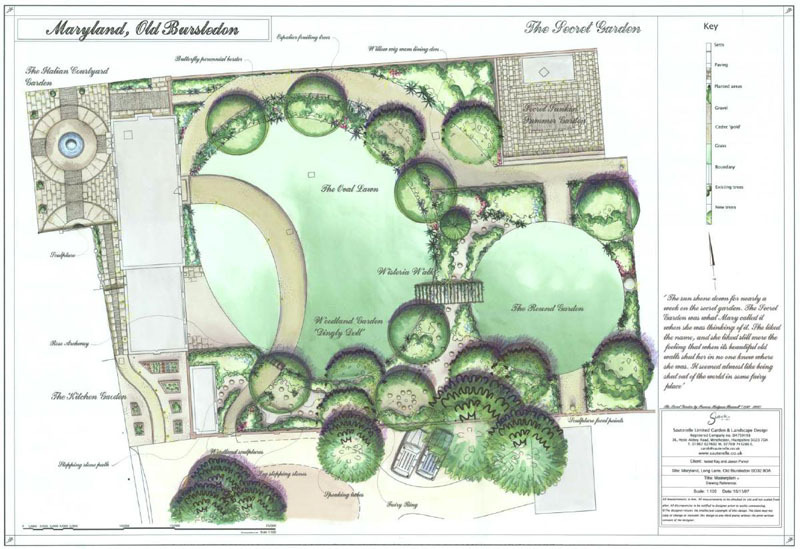 From our conversations and the brief, we will have built up a clear picture of how your garden needs to be for you to enjoy it for many years to come. 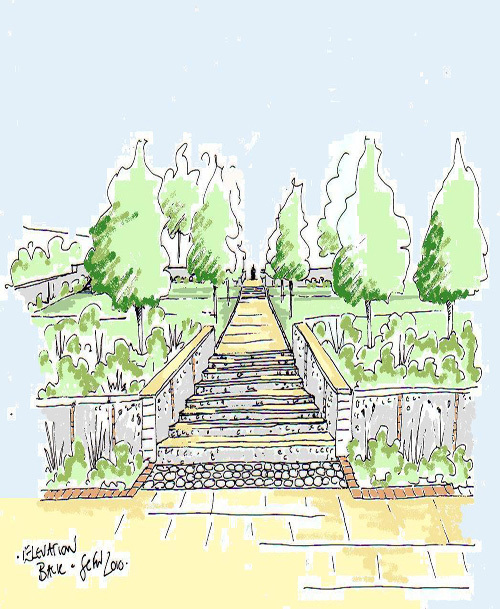 We will interpret this into a concept design, which will also show small elevation drawings so that you can imagine yourself walking through your new garden – this really helps to bring it to life! 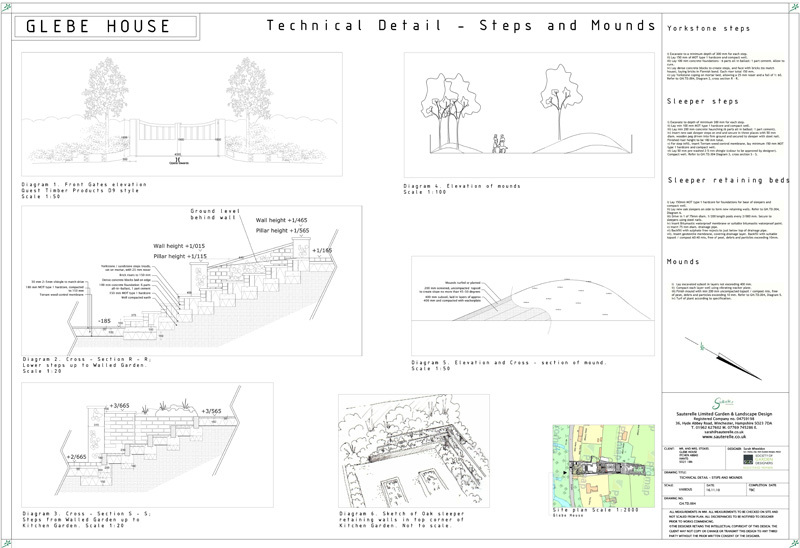 The concept pack will also include a full site analysis, design brief, ‘Mood board’ and a first look at a palette of suitable materials such as paving, wood, features and sculptures. 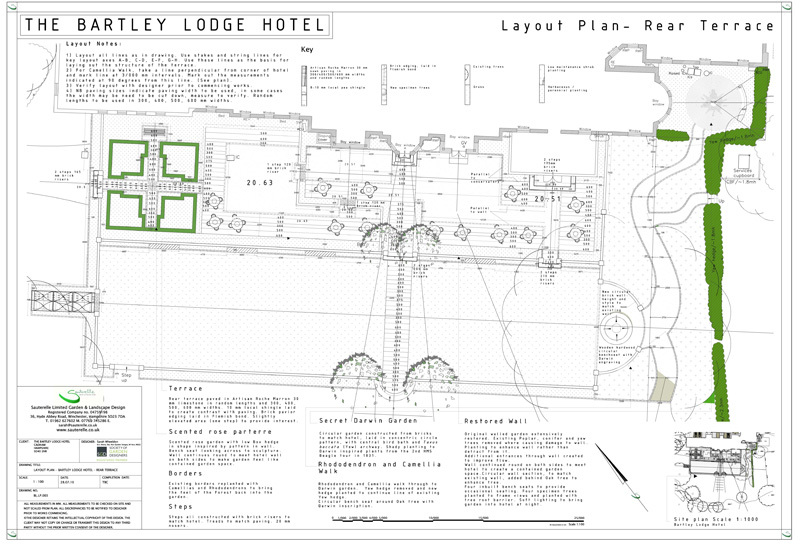 After meeting with you to discuss the concept designs, We will draw together one final masterplan, to scale and in colour. 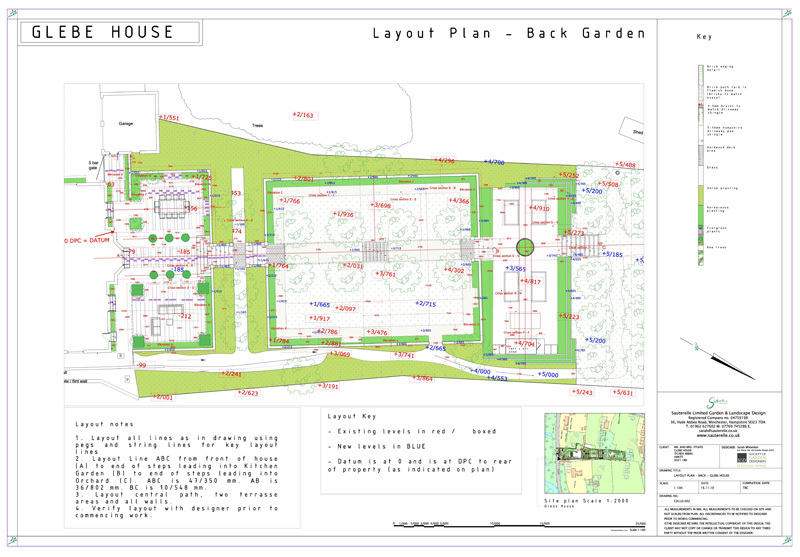 There will be some indication of hard landscaping and some plant suggestions. 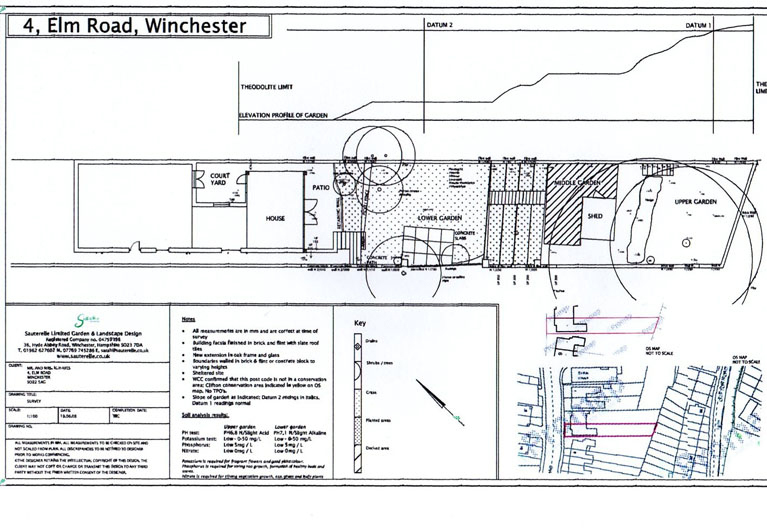 This is an essential document that will be the contractors’ working drawings, showing any plumbing and electrical detail, lighting plans, cross references to technical drawings and all dimensions. 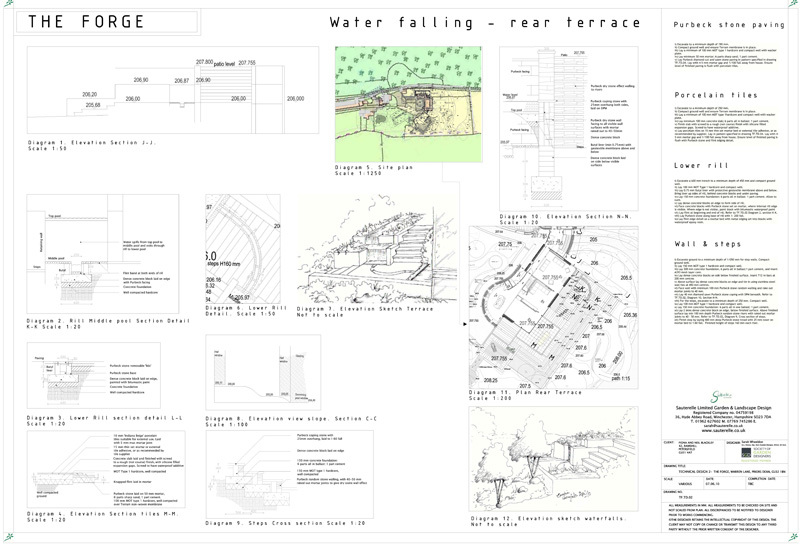 A set of technical construction drawings for any hard landscaping areas, bespoke pergolas, water features, walls, seats, anything that our imagination designs for you! 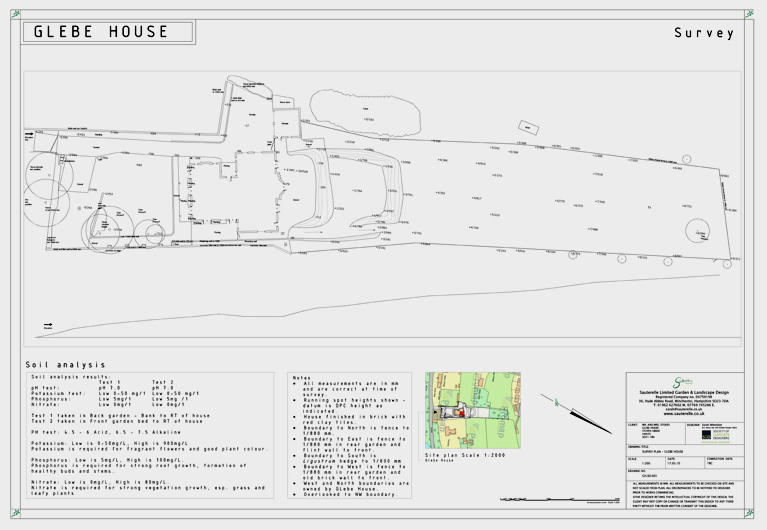 It includes large scale design details, cross section drawings and elevation views so that the contractor can clearly see how to build each element of the design in detail. 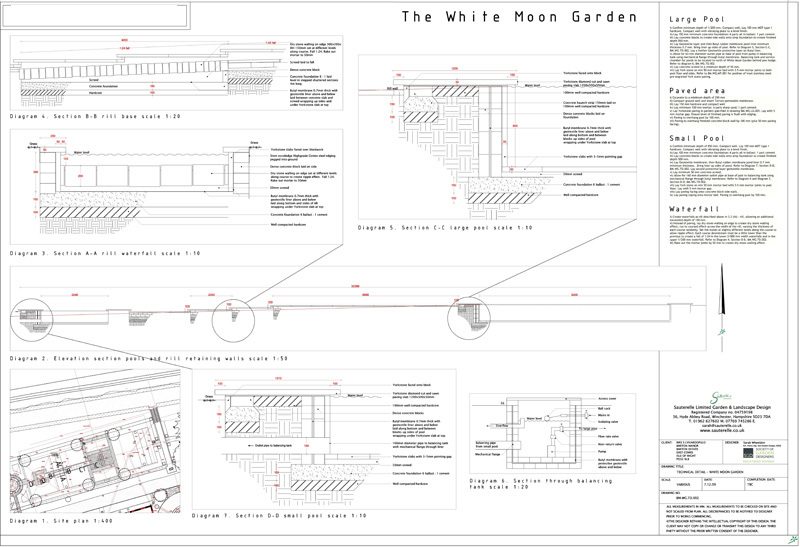 This will be accompanied by a specification document explaining how each section is to be built and the necessary materials to achieve it. 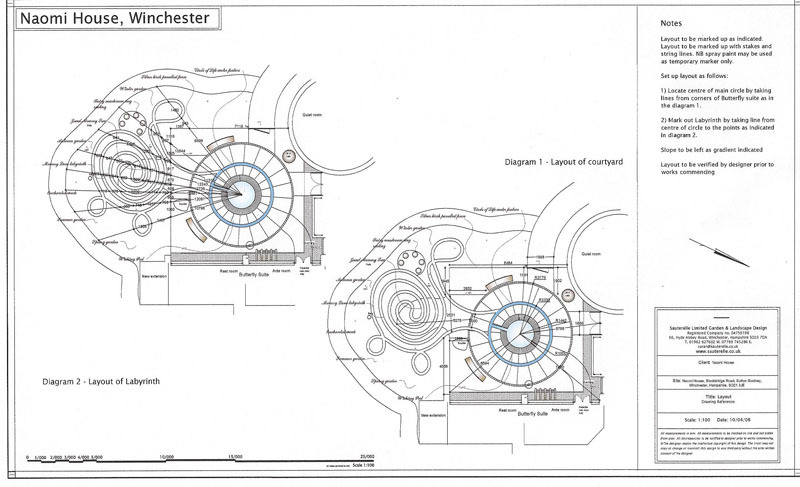 We believe that the plants will make or break a great design and determine whether your design is a real success. 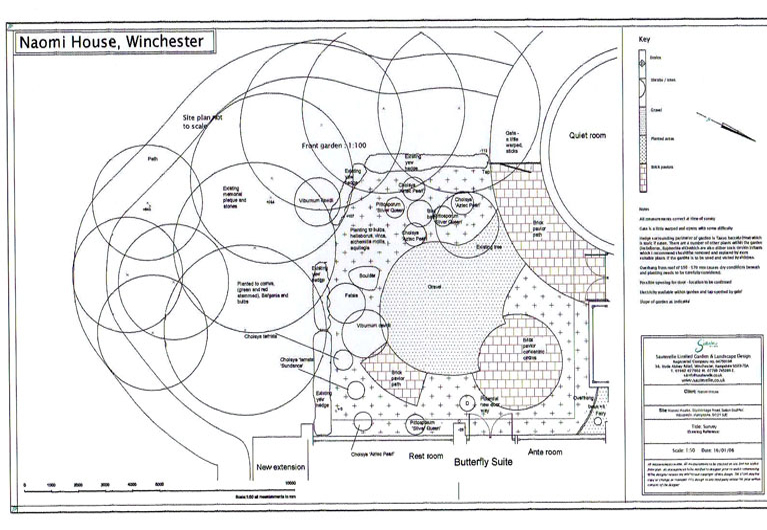 It is an intrinsic part of the overall ‘vision’ for your garden! Plants are selected specifically for each area of your garden according to aspect, soil conditions, orientation, and ensuring that the combination of plants, and individual plant vigour, will work together to give you all year round interest. 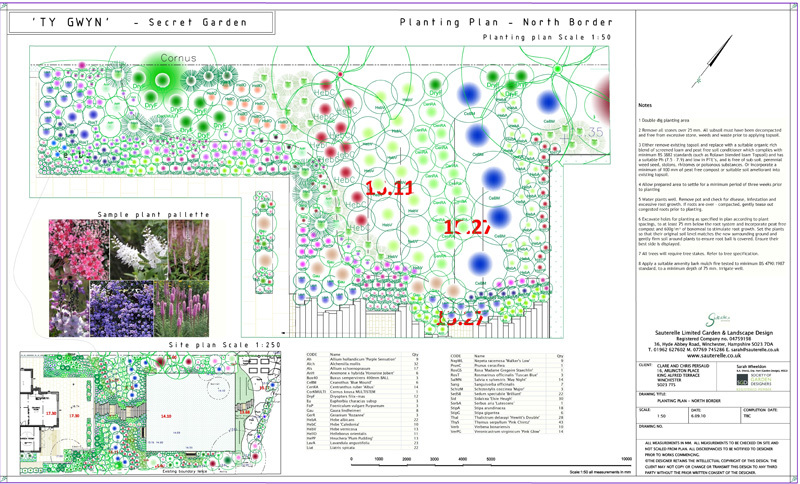 The planting design documents will detail each plant selected, it’s correct plant spacing, quantities and sizes, so that a contractor can plant the plants exactly according to the design. 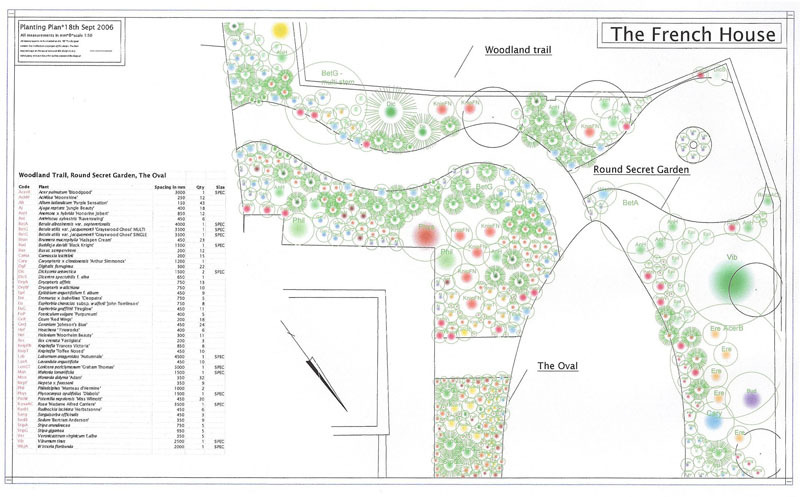 Finally it is essential to ensure that the plants specified are turned into a reality. 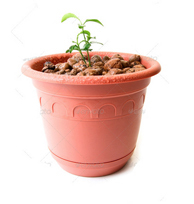 Sauterelle’s sister company Perfectly Plants Ltd will bring the plants selected for you directly to your door. 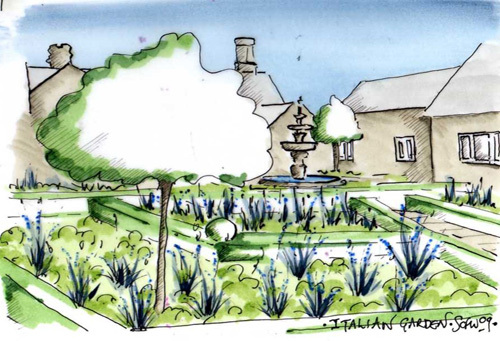 The plants are sourced from the growers, giving you a speedy and cost effective service which will ensure that your planted areas are recreated exactly according to the designer’s vision for your garden. 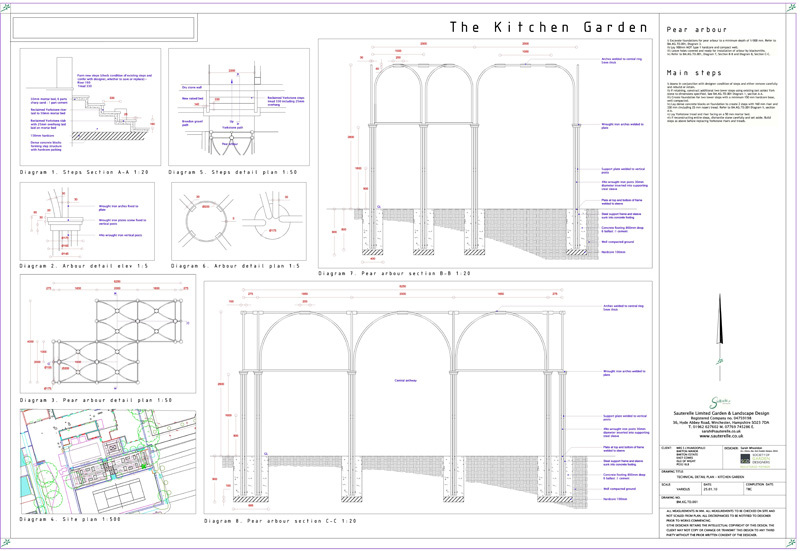 If you would like to discuss your project we are happy to provide an hour free consultation.